While taking a gentle drive to the base of the foothills of Mount Coot-tha towards Bowman Park, my breakfast craving kicked in. So you can imagine my joy and relief to stumble across Bardon Thyme; one of Brisbane's newest and arguably friendliest, community cafes. This corner site eatery can be found by following the twisting path of Simpsons Road to Morgan Terrace, in the leafy inner west suburb of Bardon, an easy 6kms from the CBD. You'll know you have arrived when you see Bardon Thymes' charcoal coloured exterior facade with hanging baskets swaying on the curbside and the art deco inspired roofline. 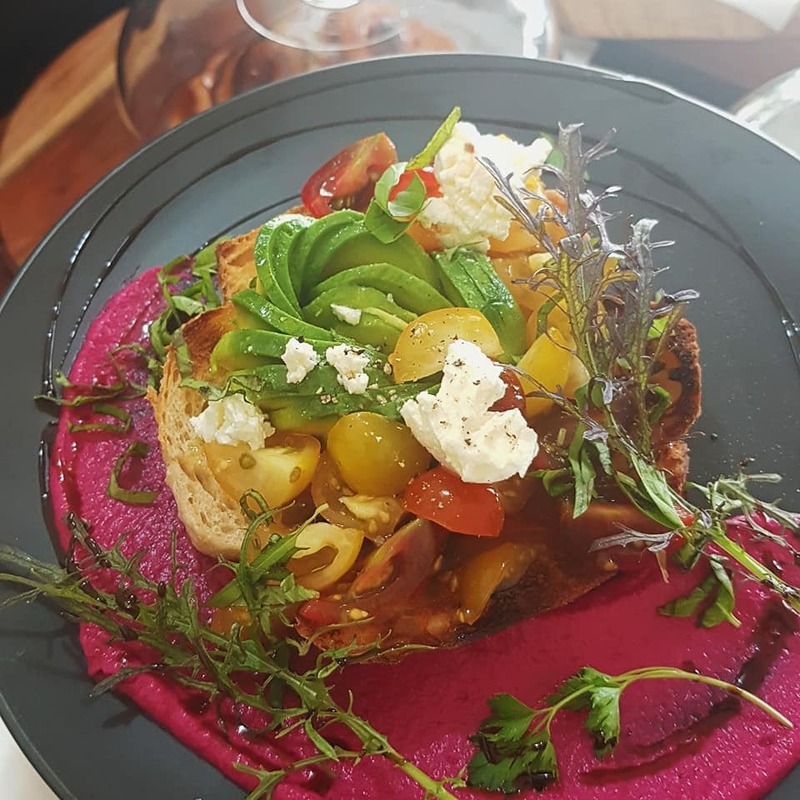 Cafe owners, Michael and Garry, swung open the doors to this delightful establishment in November 2018 after relocating back to Brisbane from Melbourne. Once you have found a table (either on the curb or inside), step up the concrete steps, through the original doors on this former convenience store and you'll find the counter and a seductive selection of fresh pastries. The menu is constantly evolving based on seasonal produce. With a focus on freshness, the boys source produce, including gourmet mushrooms grown in a shipping container in Brisbane's West End. Michael and Garry's future plans for the café include creating a grassy outdoor space at the back of the shop with seating and umbrellas and a fresh herb and vegetable garden where they can grow and source their own produce. They have already planted out the garden with mixed vegetables, climbing passionfruit vines and cheery sunflowers. Paddock to plate for sure! They are also looking to open at night and develop a wine bar, highlighting wines and cheeses. 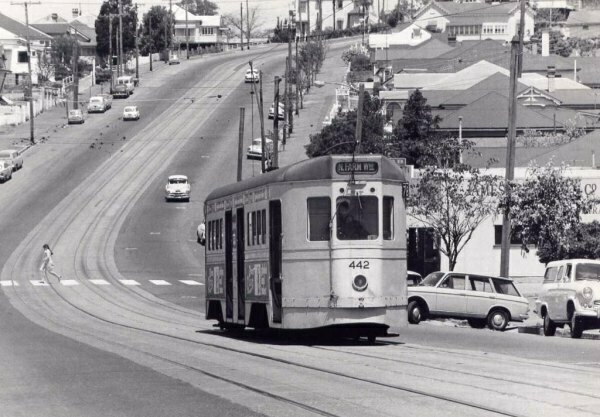 The cafe's building has a place in our cities history having once been the 'end of the line' tram stop to the Bardon trams. Of course, this was when the Brisbane tramway network operated in the city between 1885 and 1969. The original roof of the shelter, which once protected waiting commuters from the harshness of the weather has been retained and continues to service customers of the café from the sun, rain and wind. If you decide to sit inside, look up at the authentic art deco ceiling and check out the original artwork on the walls. As artists, Michael and Garry wanted to provide a platform for emerging artists to showcase their work. During my visit, I enjoyed the works of ER Stein (Wendy Domellan). Anytime is the right time to visit Bardon Thyme. And clearly, I am not the only one who thinks so judging by the constant flow of locals stopping by after dropping the kids off at nearby Bardon State School or finishing their morning walk in the adjoining Bowman Park. The café has already built a strong community vibe, including with the local canine community who are keen to say hello to their furry friends or simply secure one of the doggy treats from the front counter. Is that a doggy biscuit I an see? This fun, fresh and vibrant café is open 6 days a week, (closed Mondays) Morgan Terrace and neighbouring streets provide ample street parking and there's also a bike rack at the front of the café if you decide to ride. Oh and while you're there, don't forget to check out the ever unusual, "Logical Unsanity" book exchange depot situated right next door in what looks like a converted car port. It is a treasure trove of much loved books with its own peculiar blend of eccentricity. Grab a book to enjoy (perhaps over your coffee) and simply leave a donation in the collection tin at the back. Awesome article Gillian! Loved it. I will definitely be heading there this week. I am a Bardon local...actually went to go there on a Monday recently but sadly was closed. Keen to try again. Thanks Gillian. I will try it too.